The experienced attorneys at Bay Area Criminal Lawyers, PC have just under three decades of experience representing criminal defendants. Although our office is located in San Francisco, we practice in many counties and courts throughout the Bay Area and California, including San Mateo. If you have been criminally charged or are under investigation in San Mateo, our attorneys are here to assist you with whatever challenges arise. 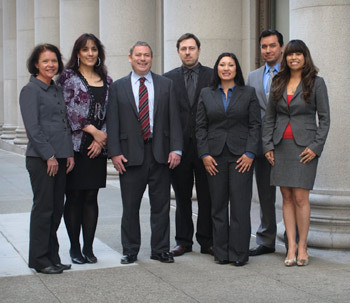 Our tenacious defense team, led by owner and California State Bar Board of Legal Specialization Certified Specialist David J. Cohen, has represented numerous criminal defendants in the San Mateo Superior Court, with charges ranging from expungements to serious life-top felony sexual assault charges. Whether being charged with a misdemeanor or a felony, it is imperative that you are represented by an experienced criminal defense attorney who knows and understands the nature of the charges. The attorneys here at Bay Area Criminal Lawyers, PC only practice criminal defense, and are familiar with the local court rules and procedures for San Mateo.